We now carry Got Green Scented and Got Green Unscented in 8 oz. Bottles. Feel the incredible transformation of what Got Green soap can do for your skin! Our super-soft foam soap, containing organic shea butter, is just what your family bathroom or business needs! 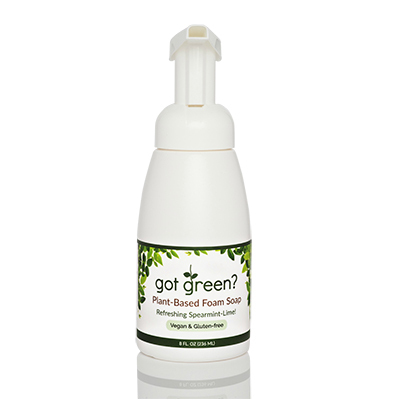 Got Green hand wash also contains the KEY ingredient: Thymol- which eliminates all impurities on the skin’s surface.